Get ready for the special ops shooting madness! Feel the adrenaline and the action in combat against other players: counterattack your foes and fight in this MMORPG. 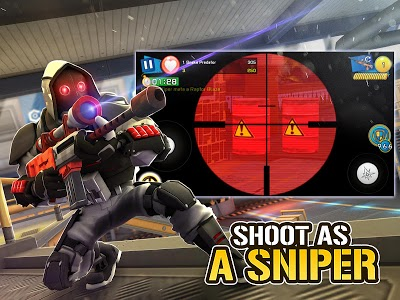 You can become a real sniper of the special forces! This third person shooter will make you forget any other AAA TPS game! Tired of the battle royale genre? 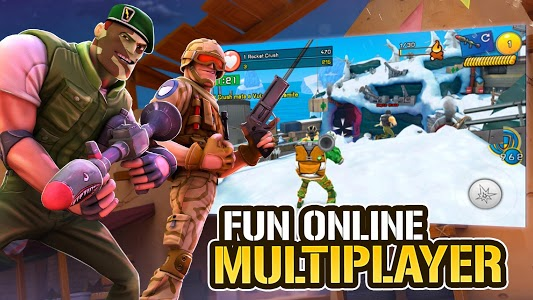 Join now this multiplayer FPS shooting for mobile! Choose your weapon, rise, shoot, counterattack and... respawn! Counterattack in this third person shooter and MMORPG adventure! 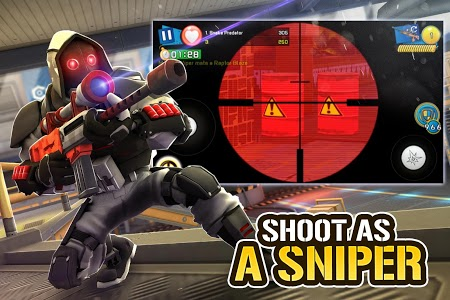 This shooting game can be played offline or online for free. 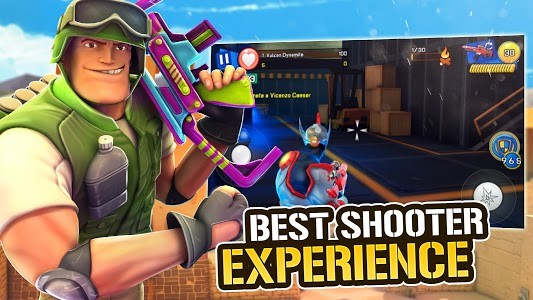 Complete challenges, join a special forces squad or just play with your gun! Join different special ops troops and teams but don't forget to define your beat'em up strategy and tactics. 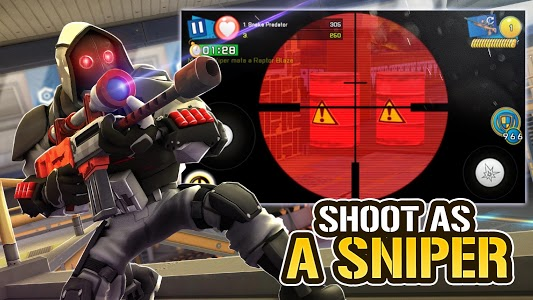 Feel the action of a TPS fight while you defeat a rival rifleman. Attack and counterattack the opponent armies in all the battlefields and ground! 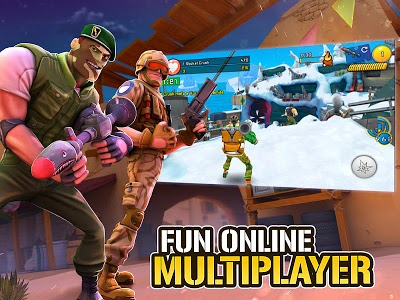 If you like 3D epic special ops games, you will love this multiplayer war with PvP mode. Get ready for the action! Will you become the last man standing? - More than 185 single quests and missions to complete offline. Only legends complete them all! 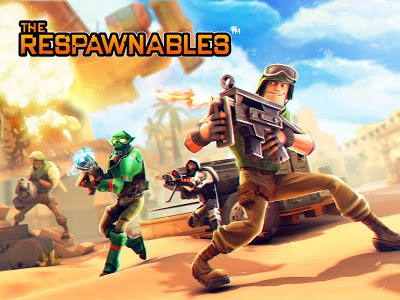 - Test all the weapons in your ammo inventory and plan a counterattack in this great multiplayer shooter PvP game! - Avoid the enemy traps during the combat! Experience the battle action! - Practice your TPS strategy offline to defeat your enemy on the online PvP games! Fight at day, return to your fort to seek safety at night! - Rise as a war hero: choose from a thumper gun man to a sniper, or maybe just a regular combat soldier. 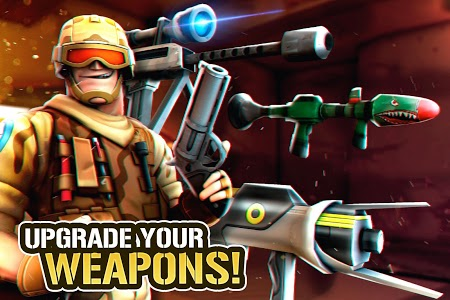 - Loot 30+ special ops weapons to attack and counterattack: choose your guns, equip a grenade, use a hunting rifle, a MP5 machine gun, a thumper gun or any other military gun. 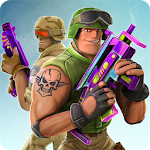 - Use the fighting boosters and rifleman war gadgets. Winner takes it all! 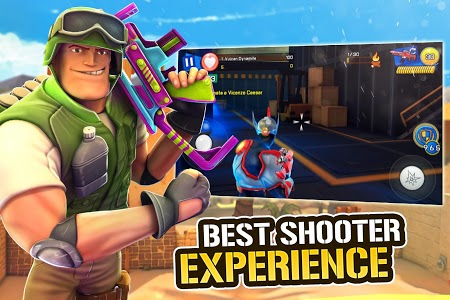 - Special forces AAA game and thumper war matchmaking MMORPG. Only legends will survive! - Two shooting combat ARPG modes for unknown players: Free for All & Team VS. Seamless connection and matchmaking! 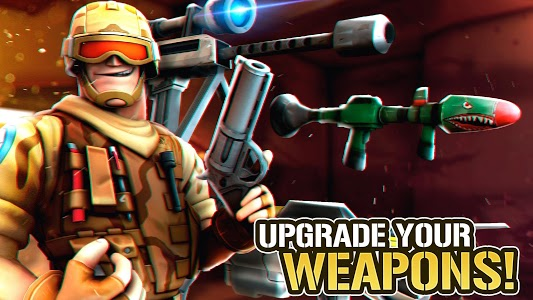 - Jump into sniper fight maps like you do with a battle pass in other first person action games or retreat at night to your fort. 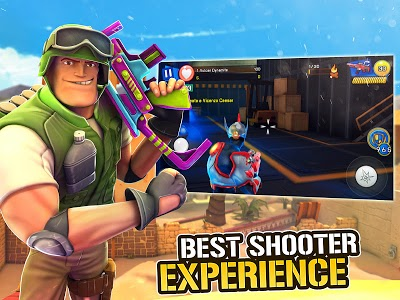 - Quality 3D action third person shooter combat style with unique skins. - Play against players with smooth FPS MMORPG controls. Show no mercy and prove you can defeat up to 100 rivals! - PvP epic game: In-Game multiplayer shoot'em up and achievements for legends. - Struggle with friends and allies. Get the largest number of kills! Face the destruction with your brigade in this competitive battle simulator, like a 3D esports game! If you love a hack and slash ARPG shooter and third person shooter multiplayer or epic combat games, this action TPS MMORPG will make you forget about any other online shoot'em up you played before! Bring the victory in this MMORPG TPS similar to a battle royale. Take your heroes out of the fort into the battlefield at night! Win the war avoiding the bullets! 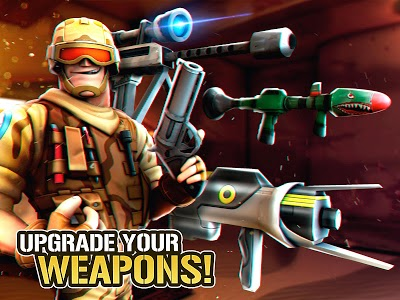 Craft a fort, equip your special forces with skins and mark your target like in a battle royale. 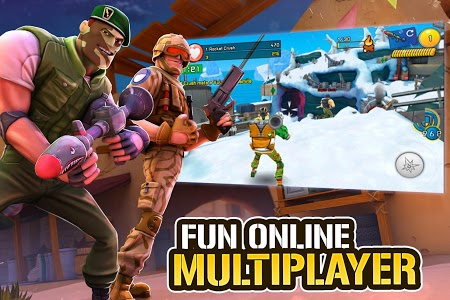 Start shooting in this third person shooter multiplayer online for mobile devices and be the last man standing! Shoot and respawn! Our goal is to reach the season 7! This third person shooter PvP epic game is free to play but extra content can be purchased with real money. To restrict in-app purchases, adjust the settings on your mobile device. 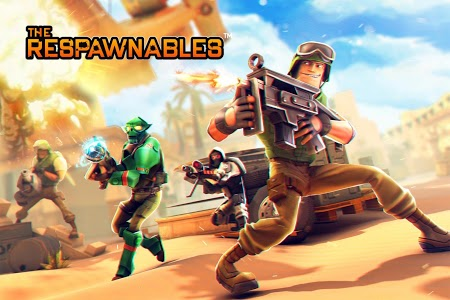 The Respawnables is celebrating SAINT PATRICK'S DAY! Welcome to the event that is gonna Sham-rock your world! The days of chasing the rainbow are over, the treasure ‘ill come to you in the shape of 4 weeks of great luck, collecting Shamrocks and Pots of Gold! 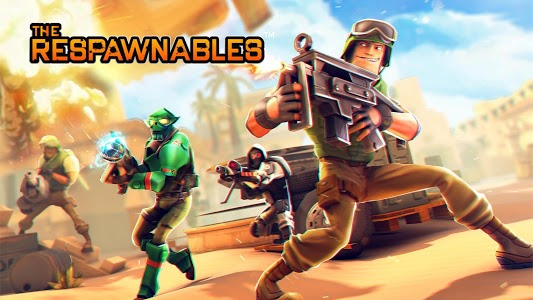 Similar to "Respawnables - FPS Special Forces"